Custom Airstream Trailers For Sale - Silver bullet trailer inc.
Extensively renovated 1965 Airstream Bambi II by Silver Bullet Trailer is now offered for sale by its owner at 115k. Complete build is documented and available for a potential buyer. Please inquire via email or just call 503 5052077. 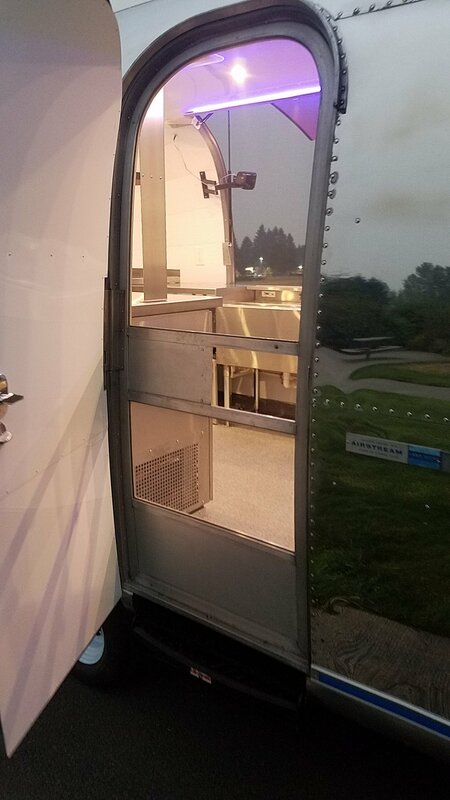 New 1967 Airstream BAR is offered for sale. Ready for your business. Makes impression like nothing else. All new components and systems. 50 Amp service. Built-in music center with Bose movable external speakers. Commercial bar for generating great experience and making money. Great quality built by Silver Bullet Trailer Inc.
Financing is available for 24-63 months period to qualified customers by third party, please inquire. Clean and clear WA title. Price is 124000. Can be delivered worldwide at buyers expense. Tongue . weight is 425lb. Financing is available for 24-63 months period to qualified customers by third party, please inquire. We offer a New commercial Airstream trailer based on 1966 model. Additional modifications and customization can be made. Great unit for catering, promotion, advertising, weddings, bar, high-end food cart. Dry weight is 2800lb. Interior hight is 78", Interior width is 85", Interior length is 177"
Offered at 87k. Can be delivered.